Out on a hike, I was putzing around with the video element of my camera, which I have never mastered as video doesn’t interest me. Somewhere in the midst of all of the putzing, I took this picture. 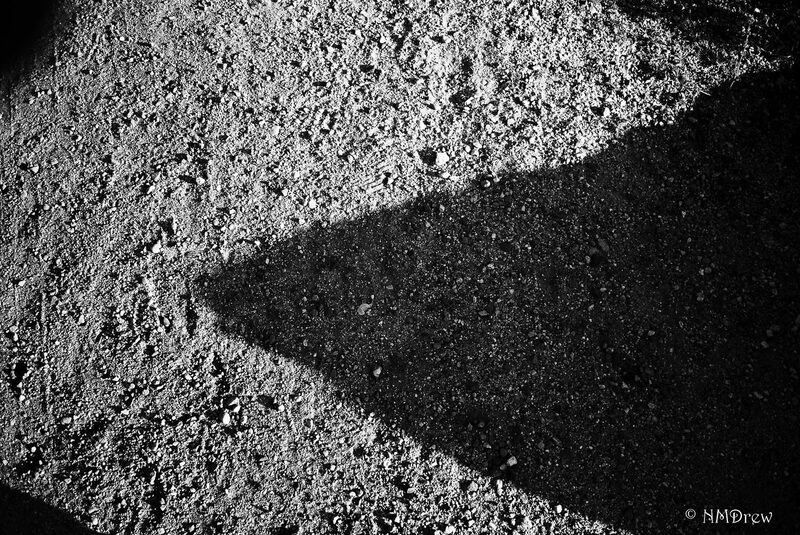 The camera was pointed down, toward my feet, and here was the shadow on the dirt road upon which I wandered and putzed. I rather like the graphic quality here, as well as the textural. This entry was posted in Glimpses and tagged "photography", 1 Nikon 30-110mm, accident, B&N, black and white, BW, Nikon V1, serendipity, triangle. Bookmark the permalink. Lovely light and shade, a happy accident!